Entrepreneur Chris Schultz and his co-founders were early and consequential figures in New Orleans’ startup renaissance when they introduced Launch Pad, the coworking facility and community they founded there in 2009. Schultz hopes the coworking company will play a similarly catalyzing role when he brings Launch Pad to Newark. L+M Development Partners announced today that Launch Pad, which is meant for entrepreneurs, creatives and businesses, has signed a lease for approximately 14,000 square feet of space on the second floor of the Hahne & Co. building. Neighbors in the newly renovated building will include Marcus B&P, Whole Foods, Express Newark, Petco, Kite+Key and City MD. 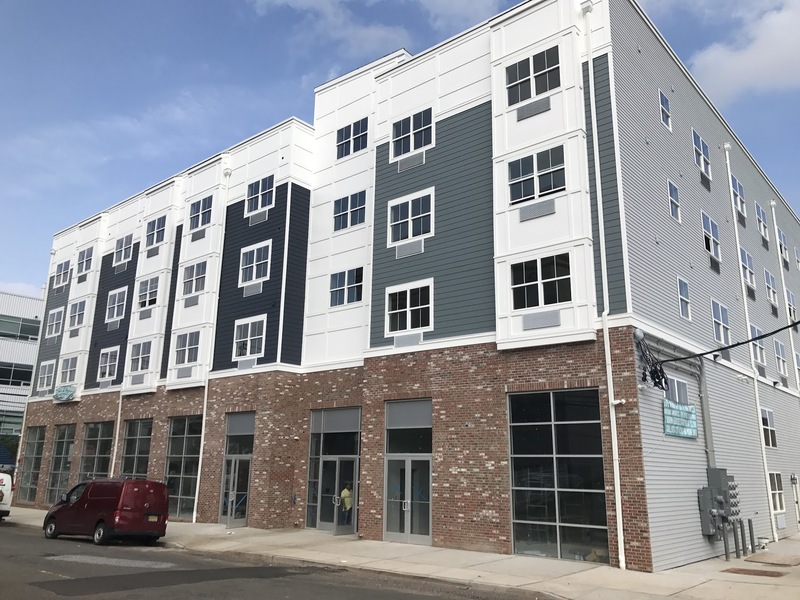 The hoped-for timing for the opening of Launch Pad’s Newark location is the first quarter of 2018. Launch Pad’s story starts in New Orleans in 2001, when Schultz moved there and sought a sense of community with other technology founders. He found it difficult to come by, and that was before Hurricane Katrina and a levee breach brought catastrophic flooding to the city in August of 2005. It was in 2009, a time when the coworking movement was still fairly new, that Schultz and his cofounders unveiled Launch Pad. With its New Orleans location, Launch Pad was far away both geographically and culturally from Silicon Valley, where startup culture, talent and the capital that circles both were deeply embedded. Schultz is passionate about helping outside-of-the-valley entrepreneurs build companies, and he and his team endeavored to create a place that could corral the entrepreneurial talent in and around New Orleans and help facilitate a startup culture all their own. Eight years later, Launch Pad is frequently cited as a key player in the city’s startup scene. A space for Newark entrepreneurs and professionals at Hahne & Co.
Now Schultz and team are bringing Launch Pad to Newark. The coworking space is already accepting applications for founding members on its website. Launch Pad is designed to be both a shared workspace, a function Schultz called its “bread and butter,” and a place that facilitates collaboration and creativity. Membership is not just for entrepreneurs but, more broadly, for “people working entrepreneurially”–remote workers, professionals and others. “We really focus on diversity at every level, and that includes business diversity,” said Schultz. There will be three membership options at Launch Pad’s Newark location: coworking at a communal table; dedicated, permanent desks; and closed door offices, which can accommodate one person or a team of up to 20 people. In addition to the workspace itself, members also get free coffee, wi-fi (which is superfast, thanks to the Newark Fiber accessibility in the Hahne’s building), use of conference rooms, single-person phone booths and other meeting spaces, and a kitchen. Commitment levels range from month-to-month for coworking to a six-month minimum commitment for offices. Schultz said the space can accommodate up to 175 members, inclusive of both individuals and small companies. In New Orleans, Launch Pad also functions as a community center and hub: while working professionals and entrepreneurs figure largely in the space during business hours, evenings see an influx of meetup groups in search of suitable space to meet and discuss topics and projects. Programming is crucial for facilitating community in coworking spaces, and Launch Pad Newark will be no different. Events will include peer-to-peer sessions among Launch Pad members, plus instructional series, fireside chats and other events. Much of the programming will be open to the public. Launch Pad New Orleans has enjoyed appreciable growth. The company expanded twice–to a total of 11,000 square feet over three floors–in The IP Building in downtown New Orleans, and then outgrew that building altogether and moved to a 22,000-square-foot space a block away this past February. 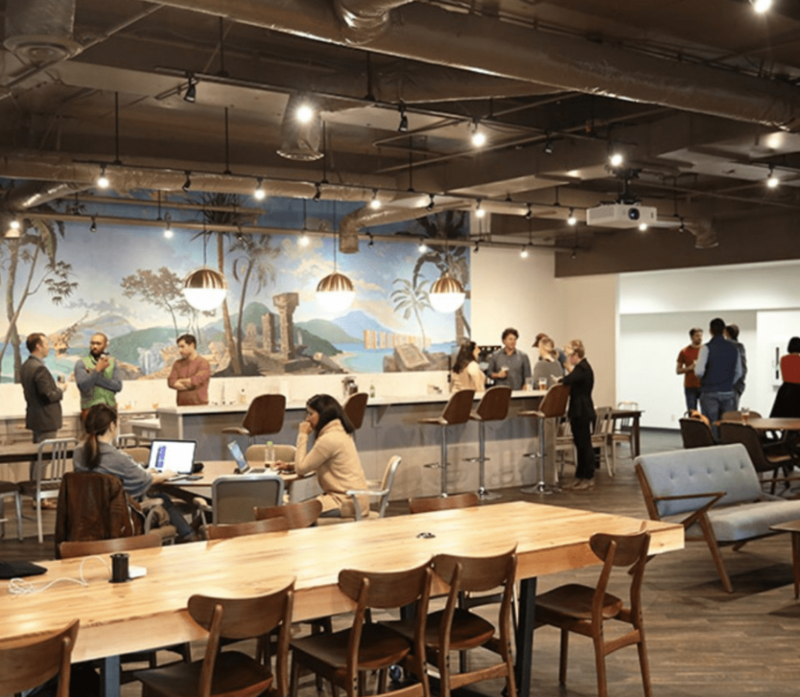 The coworking space has also been home to a number of early-stage startups that have grown into successful companies themselves. One of the most notable, data technology company Lucid (née Federated Sample), started at Launch Pad as a single founder with a coworking desk, and has since grown to employ more than 180 people in New Orleans, London and Gurgaon, India. Another Launch Pad resident company, Kickboard, is now a thriving and award-winning education technology firm that has raised nearly $8 million in funding. Healthy snack company Super Eats, which enjoys distribution of their flavored puff snacks from coast to coast, also got its start at the coworking space, demonstrating the variety of companies that have made a home there. Launch Pad was also the early home for two companies that eventually became their own standalone coworking spaces and incubators: 4.0 Schools, which incubates education technology companies, and Propeller, which now has its own 10,000-square-foot coworking space for social entrepreneurship startups in New Orleans. Schultz described Launch Pad as a “long-incubation business”–he and his team spent seven years building and refining the company’s culture and business model in New Orleans before contemplating expanding to other cities. Newark got on Schultz’ radar when a Hahne’s developer who he had known previously asked Schultz whether he would consider bringing Launch Pad to Newark. “One of my investment theses when I’m thinking about investing [in companies] is looking for founders who are underestimated,” said Schultz. “I think Newark [fits that description] in terms of a city and a market. I’ve been blown away by the energy and the work that has been done–is being done–and all of the potential,” he said. Schultz is also bullish on the prospects for tech companies that get their start outside of Silicon Valley, which he argued in a 2016 article on Forbes.com is not only unlivable for many would-be founders due to the sky-high living expenses, but has a way of generating startups that use technology to solve picayune and superficial problems–“[H]ow to get that burrito to your door tonight,” he quipped. Schultz said he is formulating an advisory board that will help him and his team get to know the community better and make “the right moves and decisions” for Launch Pad’s Newark location. “We’re really focused on opening Launch Pad very authentically, and in a way that connects and represents the community,” said Schultz. He said Launch Pad will commission art by local artists, and is even considering working with a local merchant to be a coffee vendor in the space. “I want to make sure when we open up, longtime Newarkers feel connected, and Launch Pad feels part of Newark,” he said. Schultz said Launch Pad can be a part of the formula for helping to make Newark a more viable place for entrepreneurs to connect to crucial networks, potential partners and investors. “One of the biggest reasons people leave cities is because they think the network they need is somewhere else,” he said. Launch Pad will be able to leverage the network they’ve built beyond Newark to the benefit of its local members, explained Schultz, and help generate interest in the companies being built here. Launch Pad will be hiring locally, including a community manager to run the space and some part-time staff to support it. Current Launch Pad employees from New Orleans will help to set up the space and train staff. Newark is already home to a number of accelerators, incubators and collaborative working spaces serving entrepreneurs, companies, creatives and professionals, including Equal Space, Newark Foundry, Fownders and Newark Venture Partners. Schultz said this signals the makings of a robust and variegated ecosystem for entrepreneurs–and that’s a good thing. Learn more about Launch Pad’s Newark location at lp.co/newark. 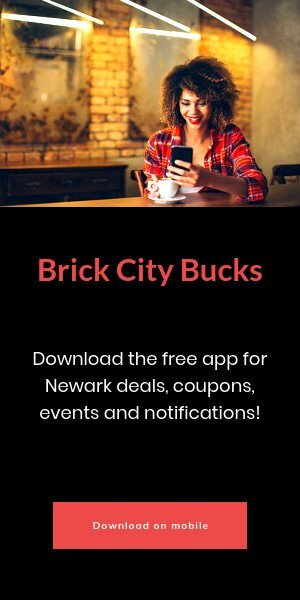 Contribute to BrickCityLive.com! We’re looking for opinion and explanatory contributors, and are calling all thinkers, scholars and practitioners to share your point of view or expertise on a topic or event of importance to Newarkers. We’re accepting 600- to 1,000-word op-eds for possible publication on, so send your work to news@brickcitylive.com for consideration.